Children don't seem to wear hats like these to school any more, do they ? Starting school - aged 25 ! 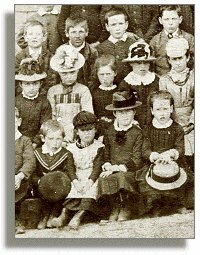 Click on the links below to see Victorian photographs of some local schools. A good excuse for being late ! A penny instead of a caning !